All children likes to imitate adults. 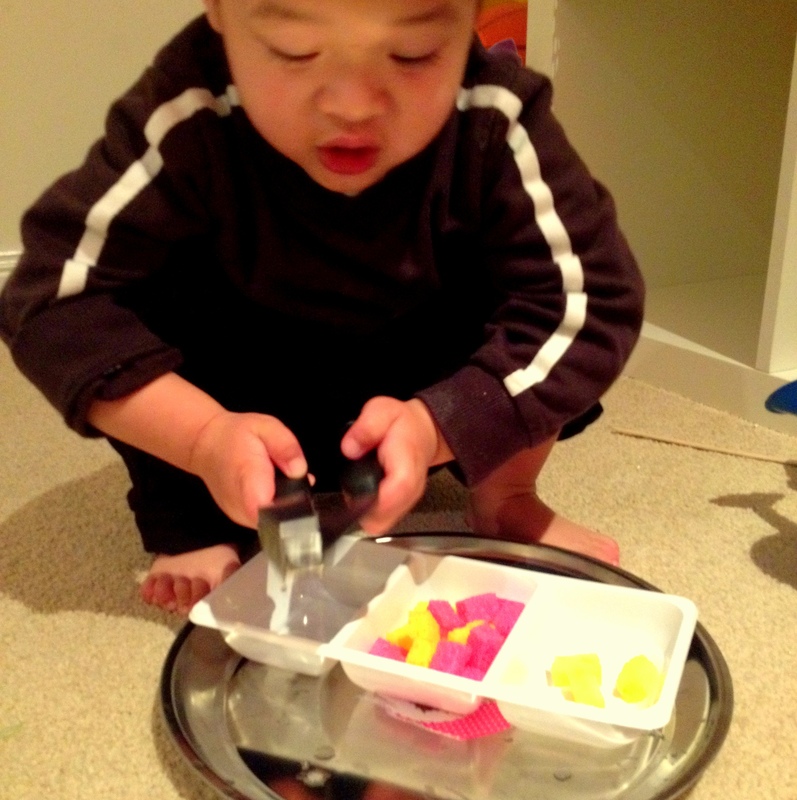 Get them to pretend to crush garlic using soft, colourful sponges to exercise those tiny little muscles. They will learn some early mathematics skills such as classifying and counting using a one-to-one correspondence. Most children I have worked with, are able to recite the number sequence accurately (saying 1,2,3,4, and so on), however they have difficulty maintaining one-to-one correspondence when counting a set of objects. What is one-to-one correspondence? It is an ability to match each member of one set to the member of an equal set. Children not using one-to-one correspondence will not co-ordinate saying the number names with taking the object being counted one by one. It is one of the important skills in early math. This activity is targeted for children age 2-6 years. Cut out a couple of sponges into small pieces (that is enough to be put into your garlic crusher). Wet them with some water. Put them together into a bowl. Present the bowl with the sponges in it, two empty bowls on each side and a garlic crusher on a tray. Posted in Early MathsTagged motor skillsBookmark the permalink.